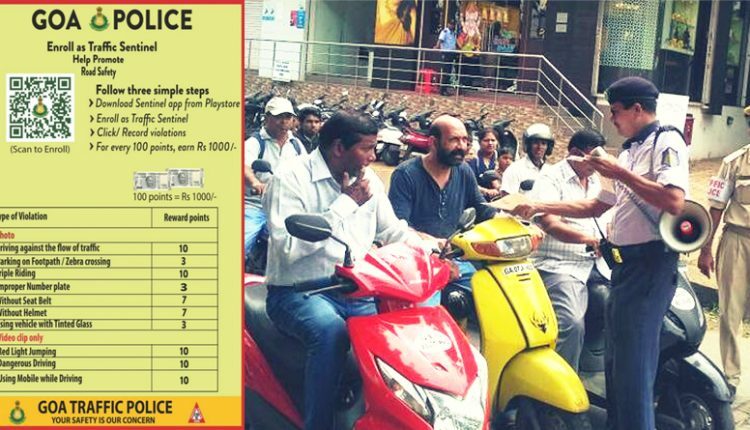 Goa Traffic Police is here with a Play Store app for promoting road safety with the help of responsible citizens. The Sentinel app can help a person secure points by reporting the incidents of a traffic rule violation to the police by clicking pictures and making video through the app. The system adds points for different violations as listed in the database and for every 100 points, the Sentinel receives INR 1000. 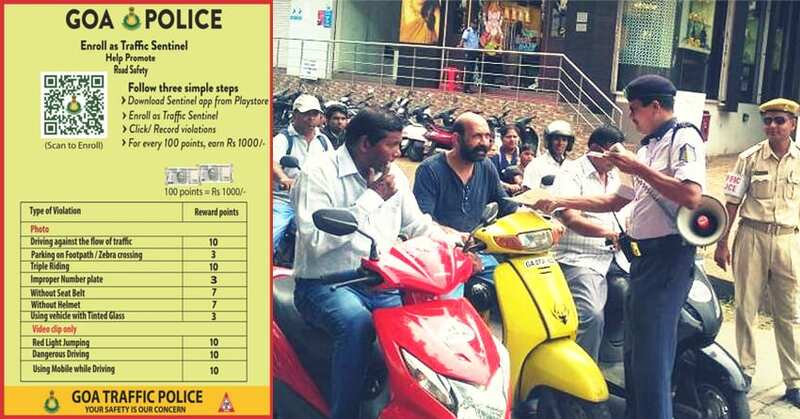 The initiative can help Goa citizens enjoy safe road travel as offenders will try staying away from rule-breaking habits to avoid hefty fines from the traffic police. Here is the complete list of offences and their respective points. The smart police initiative was earlier available only on the Goa Police phone number and the launch of an app for the same will help Sentinels manage their work with more ease. 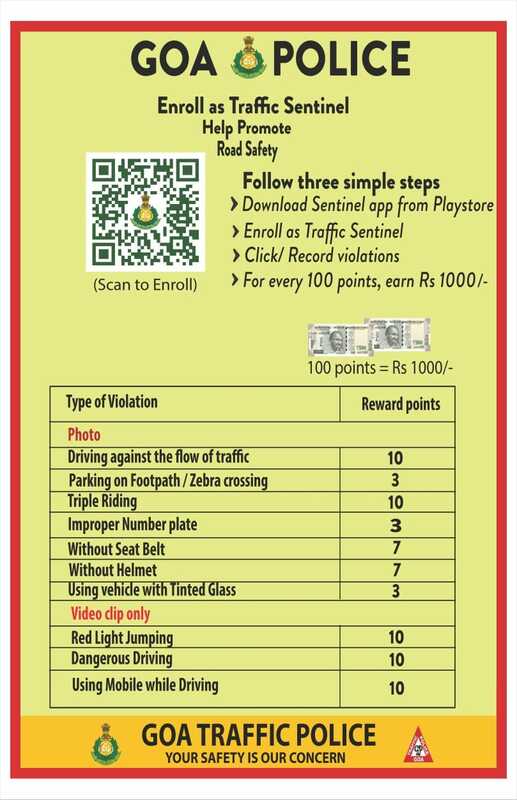 Reporting 10 incidents through video clips can help a responsible citizen earn 100 points on the app. However, risking your life filming the offence will never be the primary purpose of the police. Sentinels should understand the risk involved and use only safe cameras like those mounted on the helmet and dashboards. Before filming a violation on your mobile phone, do note that you are not involved in any sort of driving or else someone else will film your incident and report that to the Goa police. Some Sentinels have reported more than 35 offenders in the last few days.